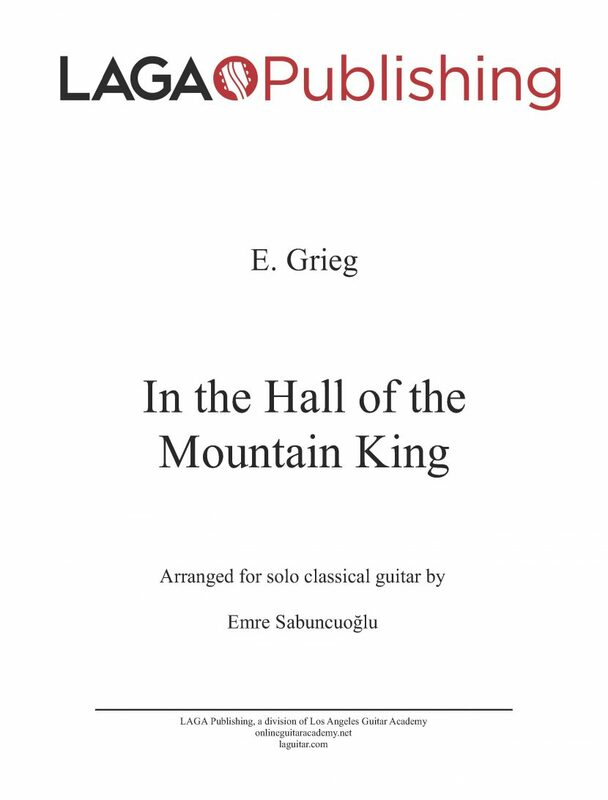 LAGA presents our sheet music edition of In the Hall of the Mountain King by Grieg arranged for classical guitar by Emre Sabuncuoglu. License Information: Copyright of this arrangement © 2011 Los Angeles Guitar Academy Publishing. All rights reserved. 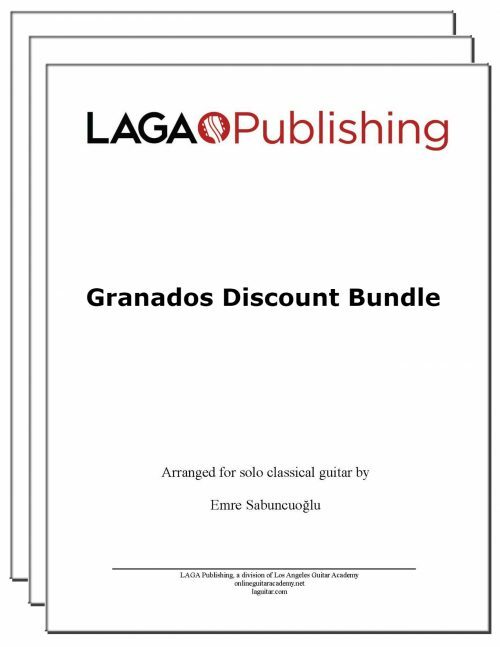 Original work by Edvard Grieg is in the public domain. yessssss!!! 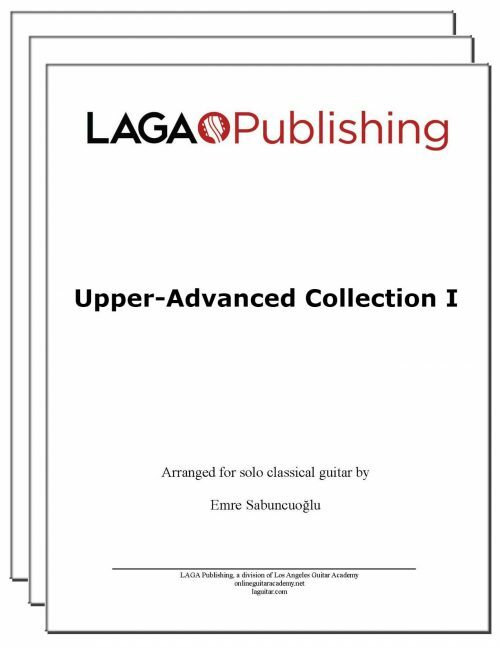 i’ve always been into playing classical guitar and found it extremely fashinating. unfortunately, i’ve never had the money to pay for music school, so i never really learn how to read sheet music! killer with the tab release! im for sure gonna get some of them! I bought this sheet music because my son was learning the melody on piano. 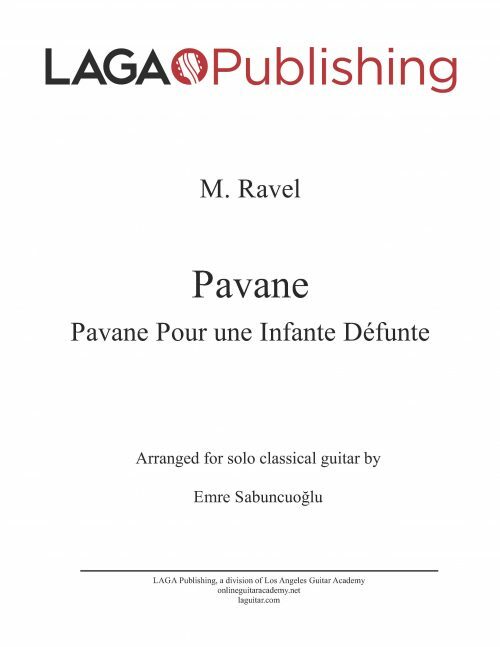 However, I soon realized his version was in Gminor, and since, if I was going to be able to play it with him, I needed to learn it from his score. 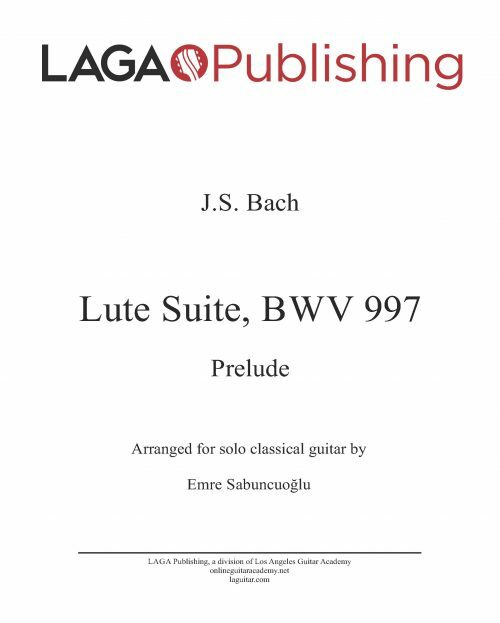 I did figure it out from his piano score, which was really great for me because it means I am getting better at deciphering the proper guitar line from the dual registers of the piano. 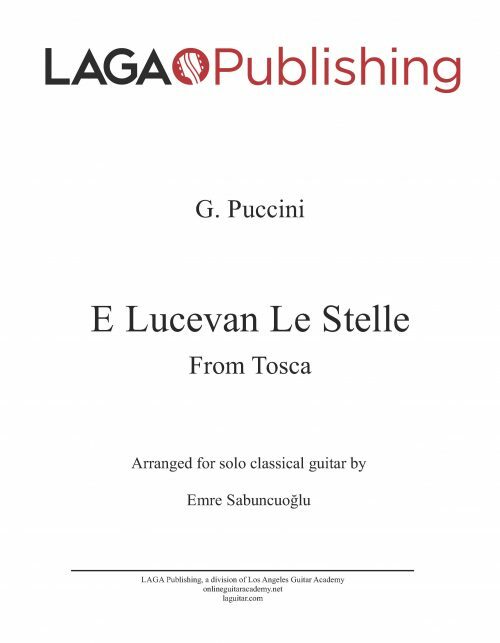 That said, I really like this version; it’s longer and has a more creatively emotional ending, so I might just learn it in this key – that is, if I make it through Fur Elise, which Orion is also playing – fortunately your and his version are both in the same key; and ALSO I am still trying to make my way through Turkish March, which I also bought the music to based on Emre’s transcription, only I am frustrated that even though I’ve figured out the difficult parts right at the end, there’s no way I can play as fast. Yes, my son also was learning Turkish March – can you see a pattern here?